Heartwood is located 200 miles North of San Francisco Bay in wild and remote Humboldt County, California. A secluded destination, we are a 1-hour drive outside of the town of Garberville over a steep and windy country road. Detailed driving directions are provided below. Our Welcome Center is open Monday – Saturday from 12 – 5pm. Please call ahead if you will not be arriving during these hours. Take your time to get here, enjoy the drive and be safe! With flights from LA, Sacramento, Medford, and Seattle, Arcata airport (ACV) is the closest airport to Heartwood, approximately a 2 hour drive from the campus. Pickups can be arranged with our shuttle for groups of 3 or more, for an additional fee. Other airports within a 5 hour drive are SFO, OAK, STS, and SMF. All of these airports are south of Heartwood. 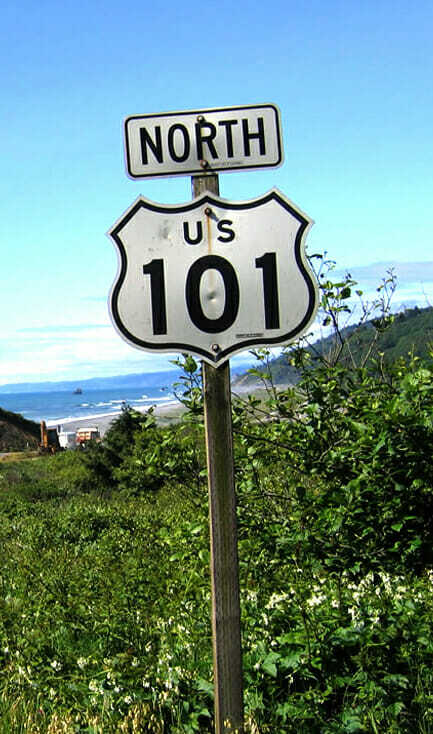 There are two turns off Hwy 101 to reach us. Alderpoint Rd out of Garberville is the more commonly used route. Bell Springs Rd is also a scenic option, weather permitting. If coming from the north use Highways 199S, 299S, or 36W to get to Hwy 101. If coming from the south use Highways 580W, or 20W to get to 101. Greyhound Buses run from the Bay, twice a day. 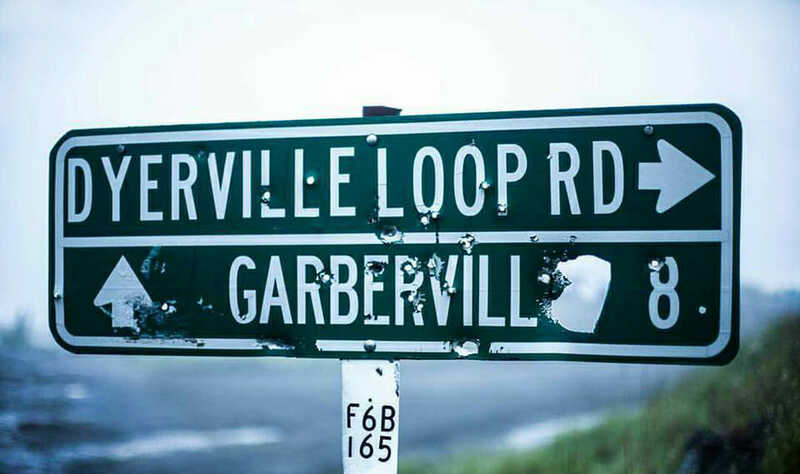 Buses 1481, 1482, and 1483 stop in Garberville at around 11AM each morning, and 9PM each night. More information. Amtrak buses run through Garberville but are only an option for those riding the train. They run from Martinez twice a day for passengers on the Coast Starlight. More information. A public bus runs from Arcata, 5 times a day, Mon-Fri. More information. The cycling route from Alaska to Mexico is quite popular in summer months, and long distance cyclists have made the trek to Heartwood before. Bell Springs Rd offers a glance into history, when before the railroad and new highway, it was the main road between San Francisco and Eureka. Heartwood is located not far from the extensive mountain bike trails in the Kings Range. Take Garberville Exit from Hwy 101. If coming from South, fill up with fuel prior to leaving town, head North towards Redway, if coming from North, turn right toward Redway. After a couple hundred yards, turn right onto Alderpoint Rd (your first right) toward Alderpoint/Harris. There is a Blue Heartwood hwy sign at the turn. Travel roughly 8 miles. Bear right at the fork towards Harris onto Bell Springs Rd (take the high road). Travel roughly 8 more miles on Bell Springs Rd. You will pass the Harris General Store on your right. Go through cattle gate with Drewry Ranch sign. Continue to small vertical homemade black and white sign advertising roadwork services on the right side of the road, and turn left onto gravel road at fork immediately after sign onto Island Mountain Rd. It goes slightly uphill, vs. driving straight and slightly downhill. Note – this is the turn that can be tricky for folks. If you see either of these 2 landmarks, please turn around and take your 1st right turn – gravel pit, on your right, or a crane that looks like a dinosaur, on your right, please turn around and take your first right. Travel 4 more miles on dirt road. You will pass a cluster of green water tanks and solar panels on left. If daytime, you will see a fire and rescue base downhill on the right side, then a pond on the left. After a steep downhill section, you will see a concrete slab with the shape of a heart and the word “wood”. Turn left here onto Lauffer Rd. Within 1 min you will see the Heartwood parking lot on your right. You have arrived! Please note that 20 miles will take an hour, as it is a mountain road with tight twists and turns and single lane in spots. Please use pullouts and allow local traffic to pass. We suggest that you head up with at least one hour until sunset. Please drive carefully! If you have any trouble finding us, call the Welcome Center at 707-923-5000 from 12-5pm Monday through Saturday or 707-923-5002 during off hours. We will pick your group up in style! 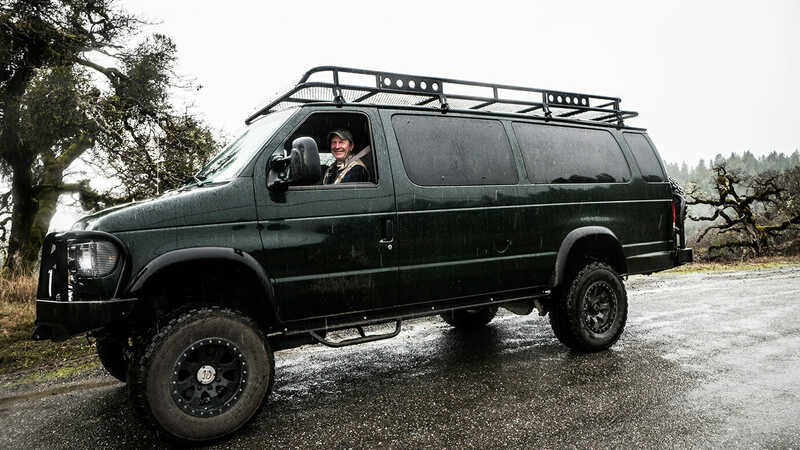 The Heartwood Shuttle is a 4x4 all-season passenger van built to handle our rugged country roads and can comfortably transport up to 11 passengers with luggage. Pickup locations include Garberville, Arcata-Eureka Airport and our Hartsook campus along Hwy 101 (which offers free parking during your stay at Heartwood). Minimum group 3 passengers. Please inquire for pricing and reservations. The Heartwood Shuttle is also now available for group field trips!